It's the first Insecure Writers' Support Group meeting of 2015! The group was set up to share writerly woes and offer support and encouragement to others. I hope all members have an enjoyable and productive year. EDIT: I forgot today was the day for introductions, so I'm adding this in here before I get to my insecurity! I'm Nick, a former print journalist now mining the realms of fiction with a little freelance writing and editing on the side. I also do a paper round seven days a week, so I guess you could say that's also in the field of written media! Over the course of various experiments, I have discovered my passion lies in the speculative side of fiction, taking in science fiction, dystopian, and I hope to add a little fantasy to that list one day. My favourite author of all time is Terry Pratchett, although it would be impossible to pick a favourite book of his. I've included a little of my publication plans underneath this intro. I'm married, with two stepdaughters and one daughter. As many of you know, my stepson Andrew passed away in November 2013. Andrew was a wee fighter all his life, and he's now my guardian angel and inspiration. We've got three dogs - Pippa, Rudi and Tobi, and we'll be adding little Charlie to the pack in February. I find it hard to pick a favourite movie, but my favourite TV show is Red Dwarf, especially the "shrinking boxer shorts" scene. I'm sure this is available on YouTube if you want to know what I'm talking about! You can also find me on Twitter and Goodreads. I guess my insecurity this month is the prospect of publication. I posted on Monday about my goals for the year, including publication of my collection in May and my trilogy starting in 2016. But how do you know when things are right? These days it seems the ebook market in particular is saturated, more and more books are being released every day, and it's getting harder and harder to stand out. The best promotion, I hear, is to have many books available, but I worry that rushing will sacrifice quality. It takes me a very long time to do anything. I guess the answer is to be even more focused on task. Reduce non-essential elements of life and make every editing or writing stint count for something. Try not to worry about outside pressures such as promotion - although that's hard. And know when to let go - even though it's not perfection, get as close as you can. What are your experiences of publication? How do you deal with the stress of deadlines, be they self-imposed or from a publisher? How do you know when a book is ready? 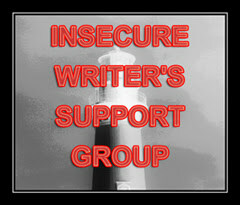 Be sure to visit some of the other fine IWSG bloggers here. You know a book is ready the same way you know your children are ready to go out into the world alone (ie. you don't, but it has to happen anyway). But remember to enjoy the process! Like you, it takes me a very long time to do anything. As mentioned above, we shouldn't be so consumed by everything else, that we forget to enjoy the journey. Easier said than done, I suppose. We'll just hang in there. Persevere. It's a fine line between going at a sensible pace and to get finished, and being reluctant to let it go because you're not sure if it's quite right yet. I don't have publishing on my horizon yet so I can still continue rather leisurely I suppose, but I'll get there and will probably be in the same boat as you. Congratulations and good luck for 2015. It's a balance between doing it right and being productive. Never rush it though. Believe me when I say it's really hard to recover from a couple poor books. I work very slowly as well. I don't know how some writers just keep busting out book after book! I'm just trying to focus on one thing at a time. Get the book done first, then worry about publishing it. I've been working on the same book for 6 years, constantly making changes and I just feel it is time to either put it away of publish it. I hope you find your answer. Wishing you all the best. If not for deadlines, I'd never finish anything, so I like them. When is it done? When I start changing things back to the way they were in the first draft I know I've gone too far. I've never figured out how to manage that stress. You have great plans in place though so I know you will rock your goals. Hi Nick, I too worry that rushing will sacrifice quality. But, its is important to have as many books as possible, out in the world. I guess we have to find a rhythm to write good quality books as fast as we can. I always heard that too but I didn't really believe it. I struggled along and it was actually my 7th romance novel that finally became a bestseller. I wish you all the best with your upcoming publication. Take a deep breath and go for it, Nick. Hi Nick .. it's keeping going .. publish one, publish two and then three and four and if as Susan says it's number 7 that sticks .. then great you're on your way ..
Don't get caught in the hype. It is harder. Just put out your best when you feel it's ready. Those putting out more and more will burn out at some point. I'm not signing up for that. Goals are great, but try not to let them consume you. I am firm believer in fate and timing. I'm so sorry to hear about your stepson—I didn't know that. I love writing speculative fiction as well (dystopian, sci-fi). I say just do the best you can and don't try to rush it. Hopefully, you'll know when it's ready. Good luck with everything! I'm an expert procrastinator. Too many goals are intimidating. Loved reading your intro Nick. And being slow and meticulous still gets the job done. Best wishes in the coming year to you and your family. It can get overwhelming. It's best to take everything one step at a time. As for knowing when something is ready, when you've the best story you can write and rewrite. Your CPs and betas will help find that readiness point with you. Have a terrific new year! Hey Nick, you just have to keep moving forward. Fortunately I have a great editor who's been in the business for decades. His expertise and advice are invaluable to me. It's never ready. I think that if I had a book that was "destined to become a classic" and universally loved by all and studied at all the major universities because it's just so awesomely incredible, I would crack it open to do a reading somewhere and think, "Yeah, I totally botched this part. I could do it so much better now." That said, there's also that saying that "you know it's done when all you're doing is taking out a comma in the morning, and putting it back in the afternoon." Not very helpful, I suppose. Sorry about that. Good luck with your 2015 goals! I don't think the author will ever know when they're story is right, because it will never be perfect to you. At some point you just have to release it into the world. When I read your post I thought to myself that I could have probably written the exact same post myself! Every day more and more people are publishing, I just don't happen to be one of those people. It's hard to not worry about these things but as you said we should try and push it out of our minds and focus on our own progress. One of the things I've been thinking of doing is writing short stories to publish them just for the fun of it and for the experience of publishing before I do the serious publish. I'm so sorry about your stepson. I'm sure he's watching over you. I laughed when I saw Terry Pratchett's name. Only yesterday I picked "The Color of Magic" off my bookshelf to re-read! And this not the first post I've read this evening about knowing when you're done and letting go. You need to know when "close" is close enough. I'm so very so myself. And I don't seem to be getting any faster. I like Pratchett too! I wish you great success this year in achieving the goals you’ve set for yourself. I’ve been slowly getting back into the writing saddle, including blogging, after a long silence. The ebbs and flows of being a writer in progress. Deadlines can be stressful, but they help keep me on my feet. May 2015 be a productive year for you, Nick. I have ten ideas in my head, but I'll probably only get to write 2 or 3 drafts this year. We can only do so much. As long as we're diligent and doing our best, we will get results. I can't imagine going through all you've been through. Big virtual hugs. I do agree about self-publishing. It's so easy to publish now, writers have to work so hard to stand out. This is true of traditionally published authors, too. Your book stays on shelves just a couple of months--maybe a few if you're lucky--unless you're a bestselling author. So you have to compete with everyone else to try to get people to buy online, where it remains available forever! So nice to learn a little more about you! I bet all those dogs keep you busy! I sympathize. It took me all day to write a 5-line poem! But I can't put out something just for the sake of posting. Perhaps a published writing life is beyond me. Still, a writer writes even if the audience is a handful of friends, right? I think each of us has to find our own way and use our own measurements. I wish there was a one-size-fits-all. It was nice getting to know more about you, Nick. For me, I've only published short stories and novellas which my small press releases as eBooks. Although there are so many out there, and most print books are valuable in eBook format, that's what many people use nowadays because they are cheaper. Really, no matter how you decide to publish the "competition" is stiff because so many are publishing, You can only do what you can and hope for the best. As for how I know a book is ready...after I've edited it 3-4 times and have 2-3 betas look it over, I know it's done. After all that, I can't make it any better than it is. We could hold it off forever but then we'll never be published. I work slowly too . . . can't imagine doing more than one book a year. Maybe if I didn't teach English full-time as well. The last book in my trilogy releases this month, so I'm interested to see how much that boosts sales. Good luck with your plans!! I can totally relate to how you feel. At least you have experience publishing a book and know the technical side of things. I'm sure your publishing journey will be amazing and I can't wait to read your book. Great to meet you Nick! No! Don't sacrifice quantity for quality. No, no, never, never! I'll wait for that next good read (maybe not patiently, but I will wait!). It's the writers who hurry to get the next one out and leave me disappointed that I don't go back to. Always put your best pages forward. I haven't published anything yet, but I think there's something to the having more books being good promotion. On the other hand, making sure that you have multiple good books is not an easy task. Just the editing portion is daunting, and the writing? Let's face it, that ain't easy. Good luck whichever way you decide to jump. I'm reducing as much a possible this year. It's hard to do because at first everything seems of equal importance. It takes time to sort and prioritize. Off to do more of that. As to deadlines, after the panic wears off I hunker down and focus. I'm never sure a book of mine is done. Heck, I still itch to edit those that have already been published. My Muse stops me. Thanks you, Muse. The industry is changing almost daily, it seems. So weird. I'm putting out titles, but not too quickly. I refuse to sacrifice quality. I want to do it right. And YES! Red Dwarf rocks!!! when I get there, i'll let you know! haha! in the meantime everyone before me here commenting has some amazing advice! I wish there was an easy answer to your question. There isn't. I held back on the publication of my first novel for months. I've learned to get over that, but it still isn't easy to let go. Hi Nick. Hope you are going well and that this will be a great year for you. Yes, with everyone publishing their own e-books, I don't know how anyone sells anything! Many that I read don't appear to have been edited and would definitely be better with some input from others. It sounds like you've thought of this--it's all right saying the best way to sell is to have tons of books--but if the first one a reader reads is below par, you will not sell any more to that person. One of my many mottos: 'Life is too short to read bad books!' I wish you well. I'm trying the traditional publishing route as I don't have it in me to be flogging my books out of my car boot. Have finally submitted a romance to Harlequin and am busy outlining a chick-lit set in Paris. It is SO FUN!! May 2015 be a successful year of writing and publishing for all of us! Good luck with the new addition. I love my pets. Fortunately, they bring more love than work, so it's a win. I've heard the idea of speed, but agree with you- there needs to be quality first. We owe it to readers who are spending hard earned money on us. My biggest worry is- just because I think it's good, is it really good? I too, don't write fast. But I keep going and have finished six novels. It happens, just takes time, as you said. I can't worry about what's going on in the world "out there" or I won't write at all! Keep going! I'm sure you'll make it to home plate! Sorry I'm late making the rounds on IWSG, but I did make it!